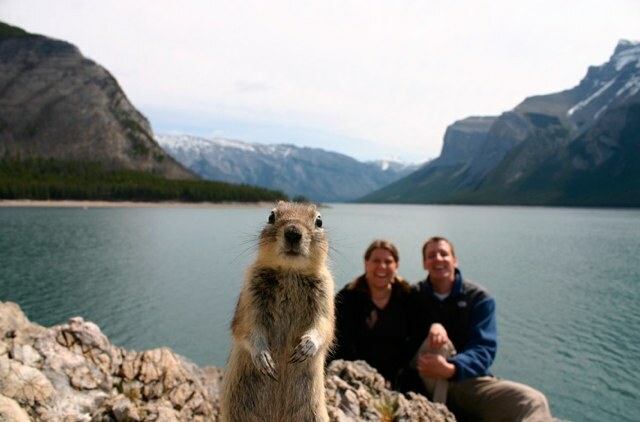 Banff Tourism is milking the “crasher squirrel” all they can in their latest marketing campaign. For those of you in the dark about the entire situation, read this Wikipedia entry first. The squirrel has no doubt caused a promotional frenzy for Banff and the surrounding area. A Twitter account for the little animal has even been created (@Banff_Squirrel). Toronto and Vancouver-based agency Radar DDB is behind the promotional push, which has reached over 80 million people so far. The cost of such a viral campaign comes surprisingly cheap, with Banff Tourism only spending $5,000. A short movie has even been produced and uploaded to Banff’s YouTube channel. ← Reality TV Show to Determine Manitoba Premier?